Hi there! Today I’m catching up with the whirlwind that is C.S. Pacat. Her CAPTIVE PRINCE trilogy began as a net sensation and is now a three-book M/M fantasy romance adventure that is a bestseller. I’ve fallen down the rabbit hole on these books, and cannot be more grateful. Fantastic fiction. Let us press on! Damen is a warrior hero to his people, and the truthful heir to the throne of Akielos, but when his half brother seizes power, Damen is captured, stripped of his identity and sent to serve the prince of an enemy nation as a pleasure slave. Beautiful, manipulative and deadly, his new master Prince Laurent epitomizes the worst of the court at Vere. But in the lethal political web of the Veretian court, nothing is as it seems, and when Damen finds himself caught up in a play for the throne, he must work together with Laurent to survive and save his country. This is a fantastic read. It’s not a M/M romance, per se, but the beginning of one, perhaps. The action begins with Prince Damianos of Akelios being captured, stripped and bound as a pleasure slave to Prince Laurent of Vere. Akelios and Vere are enemy nations under a tentative truce since their last war 6 years ago. The decisive battle in this war was the one where both the king and first born son were killed, and Damianos had bested the prince in hand to hand combat on the field. Prince Laurent, only 13 at the time, was too young to take the crown and Vere has been held by the Regent king, Laurent’s pedophilic and profiteering uncle. “Damen” as Damianos is dubbed, has been made a particular gift for Laurent–who at 20 years of age is ten months shy of his coronation–by Damen’s half-brother who has unlawfully assumed control of Akelios. See, everyone thinks Damianos has died, tragically, allowing the crown to fall to the usurper. This is a taut political drama with plenty of intrigue. Laurent wants nothing to do with Damen. He hates all Akelians due to the loss of his father and brother in battle with them. He also hates his uncle, which this reader suspects has something to do with the Regent king’s sexual proclivities and Laurent’s own frigidity. This is not a romance. Damen is smart enough to understand that his life hangs in a very dangerous balance. Were any of the Veretians to learn his identity he’d be killed. In the meantime, Laurent spares little thought to brutalizing Damen. There is a wary respect that develops as Damen makes requests that confuse and intrigue Laurent, particularly regarding the disposition of two dozen Akelian pleasure slaves that languish in Vere. True to the insight of Tsun Su, one can expect that Laurent knows his life is also in a precarious position. Ten months remain until he takes the throne and it seems his uncle has played a very deep game to cement his further rule. This book is titled Volume One, and is part of a richly-written series. It ends with Damen and Laurent at a rapprochement. Laurent needs soldiers who will defend him against his uncle’s schemes, and Damen knows that Laurent staying alive is the only thing keeping Vere from waging war on a divided Akelios. Keep you enemies closer, indeed. Interested? You can find CAPTIVE PRINCE on Goodreads, Amazon and Barnes & Noble. C.S. Pacat is a Melbourne writer. Her first series the Captive Prince trilogy began its life as an original web serial. 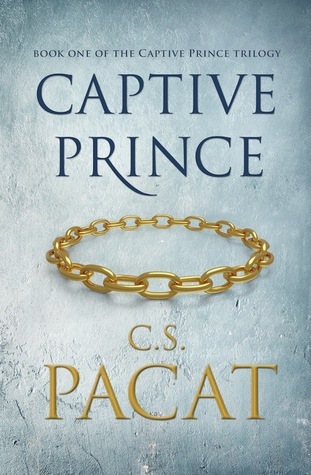 Self-published in 2013 to critical and commercial success and acclaim, the Captive Prince trilogy was acquired by Penguin, and will be published worldwide in 2015. You can find Ms. Pacat on her website, Facebook and twitter.